In 2017 Pig & Poultry Marketing magazine was relaunched as Poultry Business, a bi-monthly magazine for the UK’s poultry sector. Poultry Business provides news, comment and analysis, as well as prices and market information. The editorial covers all aspects of farming and processing as well as information on the latest news from the retail and foodservice sectors that effects poultry meat and eggs. Practical advice for maintaining a successful business as well as editorial on best practice and innovation will also feature. Poultry Business is a bi-monthly magazine with over 2,750 copies being distributed to named recipients throughout the UK poultry industry. Poultry Business’ editor and team of journalists are all vastly experienced within the agricultural sector spending many years at the heart of the poultry industry. 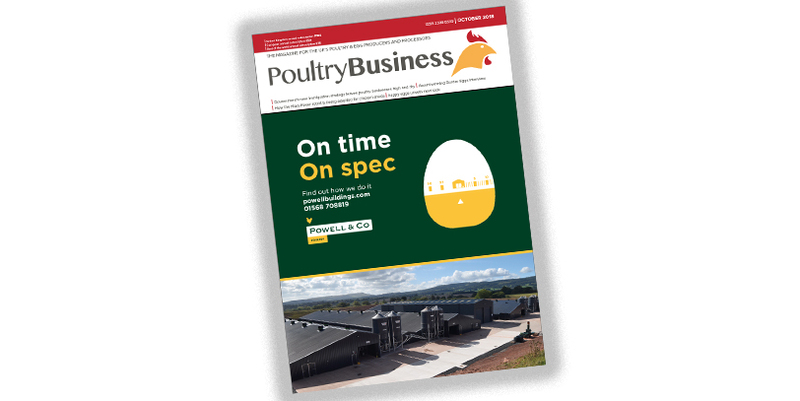 The only UK magazine dedicated to covering the entire poultry meat and egg production process including both farming and processing, with a website committed to delivering daily news updates for the poultry sector.